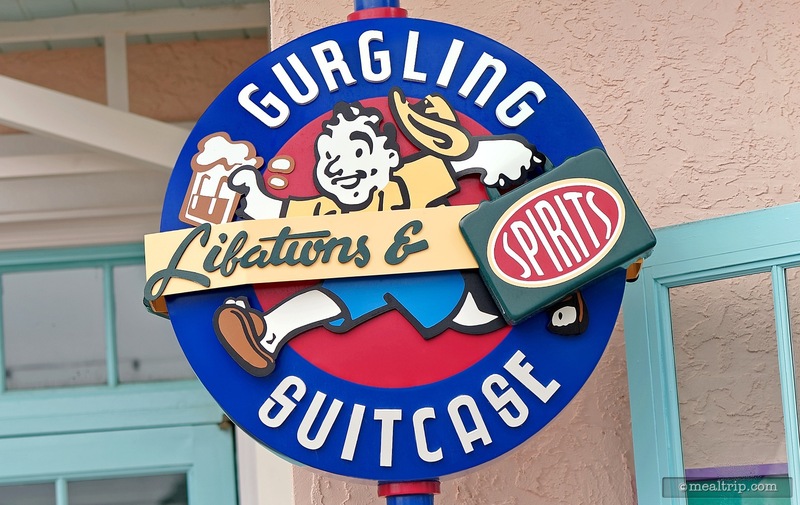 The Gurgling Suitcase just might be the smallest lounge on Disney property. The all open Key-West style walk-up bar might have seating for ten... tops, but outdoor bench style seating is nearby, as is the pool area. Don’t let it’s small size fool you though... this lounge is like most others on property, having a few specialty cocktails of it’s own, like the “Turtle Krawl” and the “Sultry Seahorse”. The most shocking revelation about the Gurgling Suitcase is that the full lunch and dinner menus from Olivia’s Cafe are available! 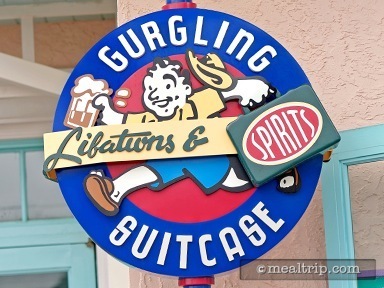 Good eats and great drinks, from the smallest bar at a Disney resort.